This information has come to us from The Level of Ascended Masters for Planet Earth. Throughout the entirety of this Universe and the multiple Planes of Existence, there are 2 Cosmic Principles which permeate the orientation of all sentient life. We will never know why, but The Creator of this Universe chose to come to know Itself by means of these 2 opposing, conflicting, and balancing Principles of Duality. On the one hand, there is the Cosmic Principle of Unification and Synthesis. On the other hand, there is the Cosmic Principle of Disunity and Separativeness and Divisiveness. They govern the evolutionary focus of all sentient beings in Creation. All those sentient beings who are aligned with the Governing Principle of Disunity are in service to the self, and they are called the Dark Forces or Dark Brotherhood. All those sentient beings who are aligned with the Governing Principle of Unity are in service to others, and they are called The Light Forces or White Brotherhood. The names of Light and Dark are, of course, a little melodramatic, but because of common usage amongst Humanity they are a convenient handle to utilize in speaking of them. 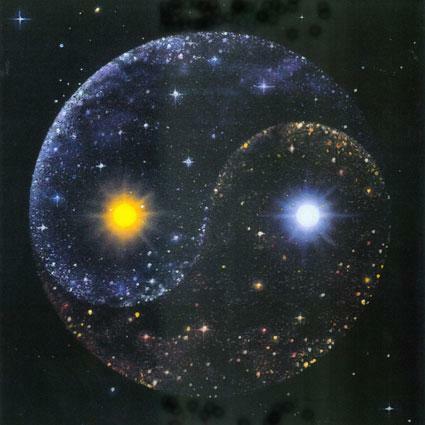 The 2 polarities will always be in oppositional tension with respect to each other for as long as this Universe exists. In aggrandizing and serving the self, the Dark Ones seek conquest of all others and seek to bring under their control those of the opposite polarity to enhance their power which they see as their duty to the self. At the human level (on Earth) they program (pre-incarnatively) for wealth and position and status and for maximum control over large numbers of people, which gives them the power that they seek. They re-incarnate into the same families to consolidate and further advance their power and polarize further in service to the self. Those who are aligned (consciously or unconsciously) with The Brotherhood of Light are in service to all others. They seek to maintain their freedom so that they may pursue the Path of Return on the evolutionary spiral back to The Godhead from whence all emanated in this Universe. They evolve by means of serving The Creator in the other-self, whereas the Dark Ones evolve by means of serving The Creator in the self. Those of the positive polarity or The Light must never allow themselves to become enslaved and controlled by the Dark because they must have the freedom to grow in consciousness and advance evolutionarily on the Spiral of Return to The Source of All. The Dark Side seeks to abridge the freedoms of others for the purposes of their own agenda in gaining more power for the self, and The Light Side must ever do battle with those who would try to conquer them and take away the expression of their free will. At the lower Levels of Existence, the battles are fought physically, and at the higher Levels of Existence the battles are fought in consciousness, but in this particular Universe there must always be a dynamic, ever-changing opposition between the two. Some humans try to deny the existence of a Malevolent Force in this Creation, but it is not wise to deny that which does, in fact, exist and which is fully one-half of the Manifested Expression of The Creator of this Universe. There are a couple more points which I'd like to make. All 3rd Density planets, such as this one, have both of the polarities on them, because the beings of each polarity serve as a catalyst for each other in learning the lessons and gaining the experiences of this Level of Existence and for polarization in one direction or the other. The lessons are more intense, and advancement and polarization are made more rapidly. All 4th Density planets (such as Earth after the Dimensional Shift) have just the single polarity, either the Dark or The Light, but not both, and Earth will be solely of the service-to-others polarity (Brotherhood of Light) after the Shift into the New Age of Harmony (check out "The Dimensional Shift Of Earth"). The Dark Ones will evermore be gone from this planet. The other point is that both The Forces of Light and the Forces of Darkness are equally extensions of The Consciousness of The Creator. The Source for this Universe does not love one side more than the other. That seems to be the fly in the ointment for the humans on this planet who have seen and experienced the consequences of the agendas of the Dark Ones for eons of time: the programs of fear, the greed for the natural resources of the planet, the unimaginable wealth of the elite few, the rivalries and conflicts and wars and bloodshed and death of uncountable millions for the benefit of the war profiteers. The Dark Ones will soon be gone. Send them off in a wave of love that repulses them to their very core. For a more expansive elaboration about our Universe of Duality and, most especially, about the Dark Brotherhood of the Negative Polarity, click on this link to "Lodge Of The Dark Magicians".